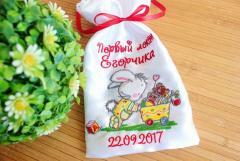 A real art project that perfectly can be decorated as an embroidered picture. Use thick cloth or flax. We recommend stabilizer: Cut-Away Plus, Fuse'n'Stich, Soft'n'Sheer Extra from Sulky. Height is good, but width is over 8" and too big for me. Can you please include sizes for the PR600 which is less than 8" wide? I use my PR600 with titanium needles for photostitch due to density. 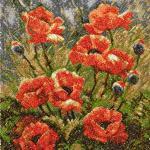 Love these poppies and so want to do this but cannot stitch them out. Decrease peed to 400-600 stitches per minute, and try cotton fabtic.